Morningside at Martin's Run is a beautiful active adult community in Lorain, Ohio. This 55+ community and winner of The Best of Seniors Housing Award in 2005 is situated on 81-acres of scenic landscapes and natural reserves that offer homebuyers breathtaking views of the great outdoors. 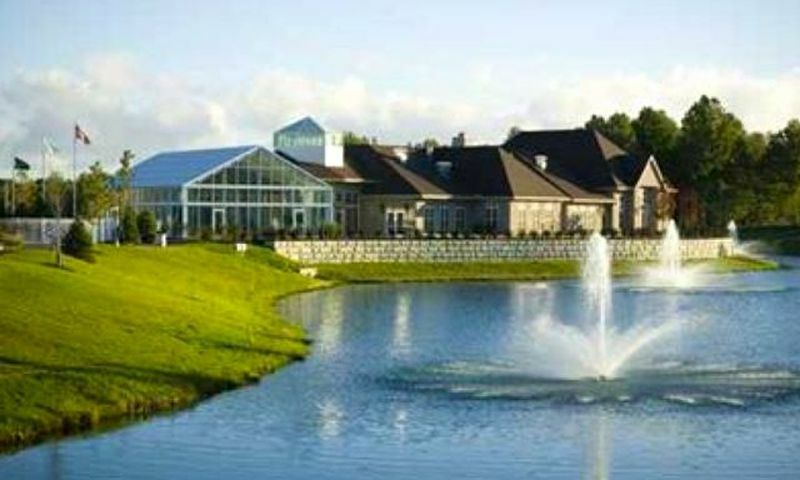 Morningside at Martin s Run features a 13,000 square-foot clubhouse, resort-like amenities, and a variety of social activities that appeal to the active adult lifestyle. Morningside is the age-restricted neighborhood of the master-planned Martin s Run community and consists of elegantly designed low-maintenance single-family homes and affordable condos. Morningside at Martin's Run features a 13,000 square-foot clubhouse that provides all the amenities an active adult would want or need. As the central hub of social activity, the clubhouse has a fireside lounge so residents can relax in front of the fireplace and read the latest novel. Homeowners seeking to stay healthy and fit can swim laps at the indoor pool and spa, take a Zumba class in the aerobics room, or run on the treadmill at the state-of-the-art fitness center. The clubhouse also features a ballroom that can be used for large or small parties and organized events that encourage social interaction among neighbors. The spectacular amenities continue outdoors with a heated outdoor pool, low-impact tennis or pickleball court, two bocce ball courts, two horseshoe pits, and a putting and chipping green. There is also a driving range, entertainment pavilion and a picnic and barbecue area where residents can enjoy great food, entertainment, and company outdoors. Active adults will love the picturesque landscapes and scenic ponds while taking a stroll along the walking and biking trails that allow them to appreciate the beauty of Morningside at Martin's Run. Morningside at Martin's Run consists of reasonably-priced condos and well-crafted single-family homes. The condos are part of The Residences section of Morningside and feature one to two bedrooms, one to two bathrooms, and underground parking garage spaces. These condos were built between 2005 and 2009 and are available on a resale-only basis. There are twelve spacious single-family floor plans for homebuyers to choose from that feature two to three bedrooms, two or three bathrooms, and an attached two-car garage. Some of the models include dens that can be converted into a third bedroom. These models range in size from 1,347 square feet to 2,185 square feet and offer one-level living and optional basements with additional bathroom space. The developer, K. Hovnanian, began construction at this 55+ community in 2005 and plans to build 152 homes upon completion. These single-family homes are available as new construction or resale. One of the benefits of living at Morningside at Martin's Run is having a homeowners association (HOA) to take care of the exterior home maintenance. Active adults have more time participating in fun social activities because the HOA provides lawn mowing and snow removal services. Active adults have a wide variety of clubs, classes, and activities to choose from at Morningside at Martin's Run. A social calendar full of water aerobics, themed parties, yoga, bridge, poker, recipe club, Ping Pong, movie nights, potlucks, dinner club, and Wii bowling are sure to keep homeowners entertained all year long. Morningside at Martin's Run is five minutes from the beautiful Lake Erie and a 30-minute drive to downtown Cleveland. Residents can take advantage of the shopping and dining options nearby, such as the Lighthouse Village shopping center, which includes Walmart, Kohl's, and The Home Depot. Active adults can also enjoy the natural beauty of the area by visiting Lorain MetroParks, which offers many acres of scenic landscapes. Homeowners 55 and better will truly appreciate the resort-like amenities and low-maintenance lifestyle in Morningside at Martin's Run in Lorain County. Clubhouse - 13,000 Sq. Ft. There are plenty of activities available in Morningside at Martin's Run. Here is a sample of some of the clubs, activities and classes offered here. The Residences is a condo building with first, second, and third floor units and are available on a resale-only basis. These units have one to two bedrooms, one to two bathrooms, and underground garage parking. These units range in size from 749 to 1,093 square feet. Please Note: Not all floor plans are available at this time. The Cottages offer two or three bedrooms, two or three bathrooms, and an attached two-car garage. Basements and sunrooms are optional additions. These single-family homes range from 1,347 to 1,672 square feet of living space. Please Note: Not all floor plans are available at this time. The Gardens are single-family homes that offer spacious floor plans with optional basements. They range from 1,366 square feet to over 1,700 square feet and feature two to three bedrooms, two or three bathrooms, and an attached two-car garage. Some models feature a den that can be converted into a third bedroom. Please Note: Not all floor plans are available at this time. The single-family homes within The Manors are the largest homes available at Morningside and range from 1,753 to 2,185 square feet. These homes have two or three bedrooms, two or three bathrooms, and an attached two-car garage. These homes have optional basements and sunrooms. I bought a condo here last summer for well under $100k. You get a lot for your money. I use the fitness center a few times a week and love having it so close I can walk to over. I'm really involved in a lot of clubs and have made a lot of great friends. 55places.com is not affiliated with the developer(s) or homeowners association of Morningside at Martin's Run. The information you submit is distributed to a 55places.com Partner Agent, who is a licensed real estate agent. The information regarding Morningside at Martin's Run has not been verified or approved by the developer or homeowners association. Please verify all information prior to purchasing. 55places.com is not responsible for any errors regarding the information displayed on this website.